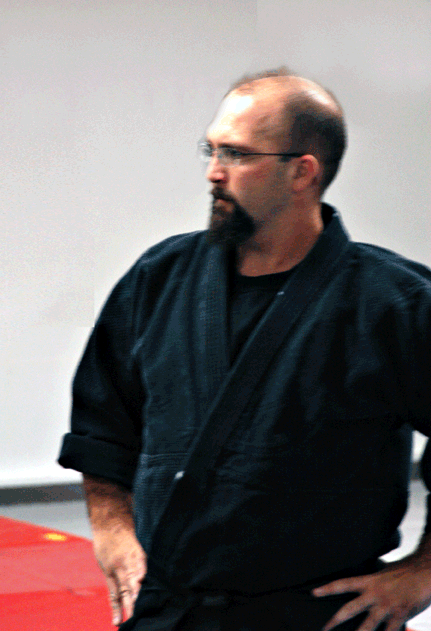 Sensei Shane Topp has been interested in Martial Arts for as long as he can remember. 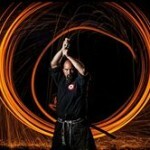 He has molded his life and career around the study and understanding of martial science. He began his formal study with Sensei Michael Young. Sensei Young was the head instructor of Eugue-Ryu Karate-Jutsu, a system of karate and jujutsu founded by Kensenzu Yamaegue. 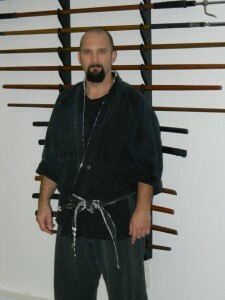 In 1998, Topp was chosen as one of four head instructors given charge of the Eugue-Ryu system. In October 2010 Sensei Topp was named by Sensei Young as his successor and appointed Head of the Eugue Ryu System. Topp Sensei expanded his training to include many other arts and instructors including Dr. Jake D. Allen Soke, founder of American Jukido Ryu. Allen awarded Topp with Master Instructor Certification, an honor which only three had received at that time. In 1994, Topp Sensei achieved a lifelong goal of opening his own dojo The Eugue-Ryu School of Martial Arts in his hometown of Wapakoneta, Ohio. His growing knowledge of various martial arts lead to the expansion of the dojo and a change of name to reflect what is now offered…Eugue Ryu School of Martial Arts became Jukido Kai Sogo Budo (School of Integrated Martial Arts). Topp Sensei is the chief 10th Dan of Eugue Ryu Karatejutsu and has been appointed the Head of the Eugue Ryu System. 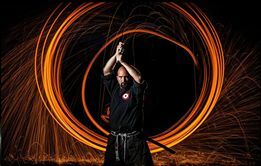 He is a certified edge weapons instructor of the RENOTT Method and continues to refine his edge weapons skills under leading edge weapons instructors such as, Michael Janich, founder of Martial Blade Concepts. In April 2002, Topp Sensei, was inducted into the World Martial Arts Hall of Fame. He also was awarded the Lifetime Elders Award by the American Jukido Ryu Martial Arts Union. 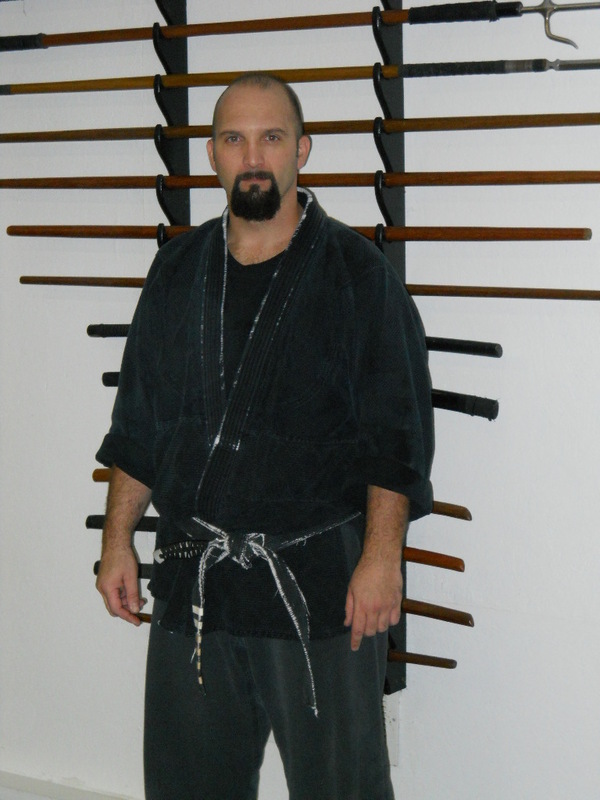 Topp Sensei’s interest in every aspect of Martial Arts including the healing arts led him to further his studies at the Dayton School of Medical Massage and at Rhodes State College. He is licensed by the Ohio State Medical Board as both a massage therapist and as a licensed physical therapy assistant. He currently works in the Physical Medicine and Rehabilitation department of a major area hospital. Always considering himself foremost a student, Topp Sensei continues to take every opportunity to train with other masters in other styles and systems.